And so, the “Ouch Bus” was born. The conversion into a recreational vehicle of sorts required a lot of hard work, but Roy was all too eager to take on a project after his own health scare. While seniors aged 65 and older spent around $18,424 on personal health care in 2010, Roy suffered a heart attack at age 59 that changed everything. After experiencing severe chest pains on Christmas morning, Roy’s doctors immediately put in a stent. Working on the “Ouch Bus” allowed Roy to finally realize his lifelong dream of building his own home with his unique specifications. 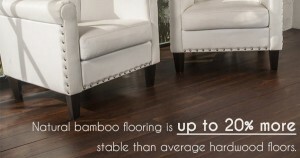 The flooring was a particularly good choice on Roy’s part, as bamboo floors are typically 20% more stable than the average hardwood floor. After that, he built a bed and kitchen, where he can even cook over his wood-burning stove. While Roy still rents a room with a friend as a backup option, he loves his peaceful, quiet, and one-of-a-kind bus life. Often parking along the waterfront, he’s able to take in a beautiful view with close proximity to public restrooms and showers. Other than his rent, his monthly bills include insurance for his bus, fuel, and propane. He doesn’t even run a generator, opting instead to utilize solar panels on the bus’s roof. He’s also careful to follow the advice he gave his son about his graffiti: be respectful. Unlike the RVs often seen parked along Richmond Terrace and throughout the St. George area for days at a time, Roy makes it a point not to park in residential spots where he could become a nuisance. He doesn’t want to take someone’s spot or be a disruption. He simply wants to live and enjoy his life aboard the Ouch Bus.